HomeMOVIE & TV10 American Netflix TV Shows You Should Watch! These are the Top 10 best American TV shows on Netflix that you should watch. Some of these underappreciated shows are lesser known on Netflix. 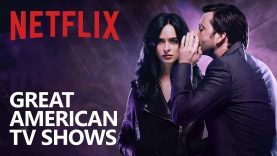 In addition to the Marvel TV shows, there are other great American shows on Netflix too. Many of these are Netflix original series.